It used to be king of the music players, but the folks behind the long serving AOL-owned mp3 player have announced that they will be shutting up shop for good on December 20th, 2013. After that date, the website will be closed down and there’ll no more downloads made available. First released in April 1997, the Winamp MP3 player has been around for what seems like an eternity. The company was bought by AOL in June 1999 for over $80 million, and that was a move that many believe marked the beginning of the end for the once-dominant player. 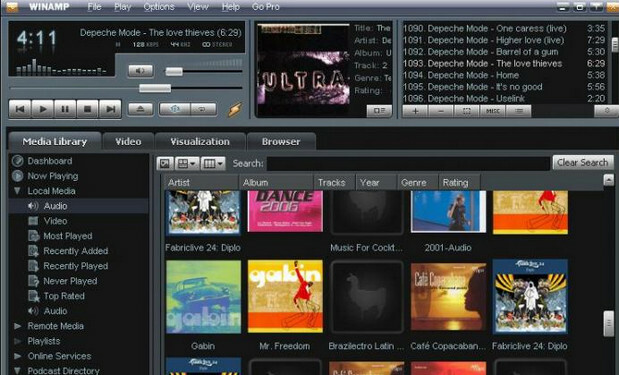 “There’s no reason that Winamp couldn’t be in the position that iTunes is in today if not for a few layers of mismanagement by AOL that started immediately upon acquisition,” Rob Lord, the first hire and first general manager of Winamp, told Ars in 2012.